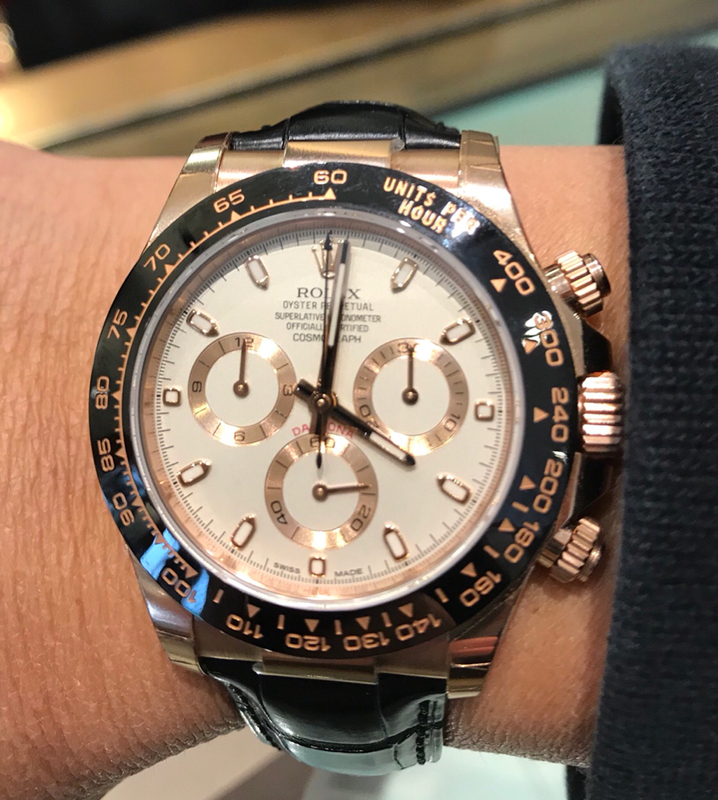 I have been searching for the Daytona Rose Gold Ivory dial for a while. I come across the opportunity to get the used one at quite reasonable price. I have some questions for this model and would like to get some idea from my friend here. 1) why is not this model popular comparing to others? I rarely see people wearing it. 2) if it’s not so popular, how come it’s not easy to find in a used market? 3) any pro and con for this model? 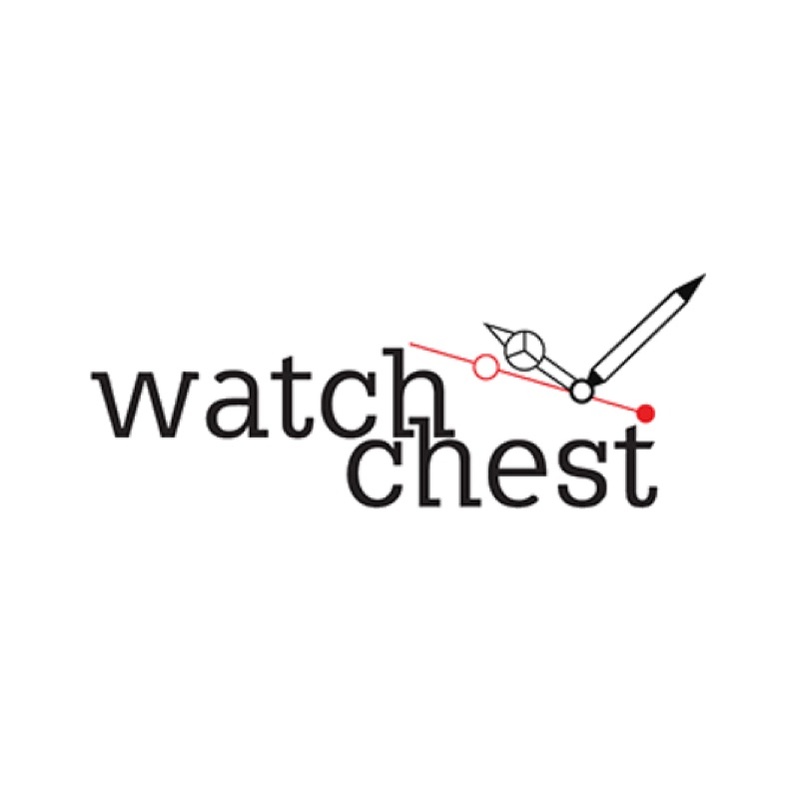 Any current or past users? There are so many Daytona variants that unless it is the 'popular on TRF' combination, the others seem more 'rare' by comparison. This combo you mentioned looks great, and in fact have had friends think it was a Patek (prob due to my past love for Patek, yet needed something far more durable with a bezel that's not a scratch magnet). I adore this, but on the bracelet with rose gold bezel as opposed to ceramic. My grail. The ivory dial is pure class. 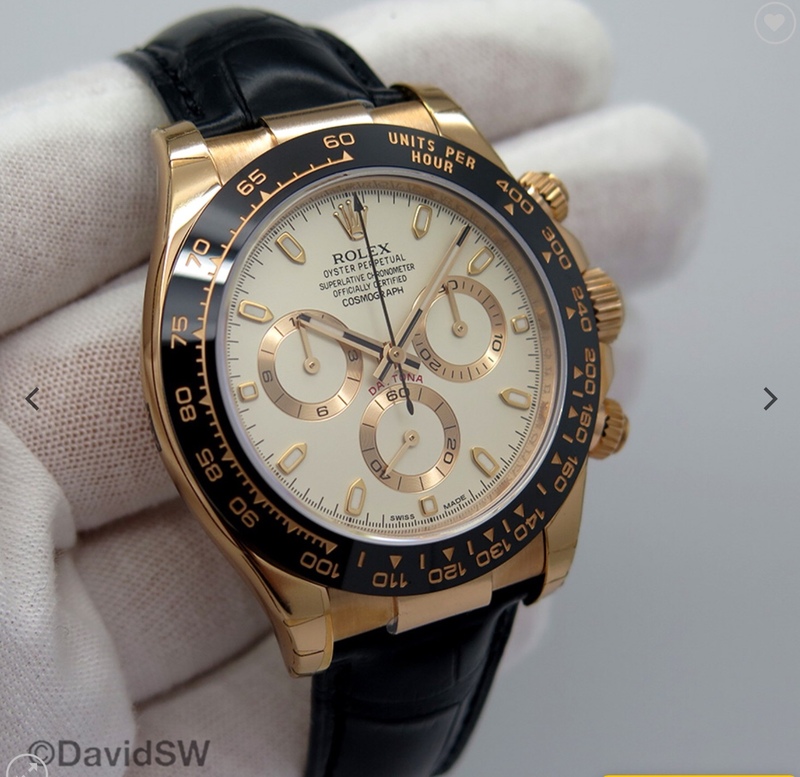 I actually think this is "the" ceramic Daytona to get. Love it. Here's a pic when i was playing around with various straps (stickers are now off, yet left them on initially due to many strap changes / experimentation). Here she is with a Rubber B band with red stitching. Hope this helps. That's the one Daytona I'd love to own. This is the least popular config of the model and prices reflect that but if you like then a good buy. Beautiful! I have the chocolate dial and love it. Black dial with OF. I prefer the leather band, it feels classy and can be casual at the same time. When people ask how was your day? I tell them: "Same circus just different clowns!" That AD looks pretty well stocked. 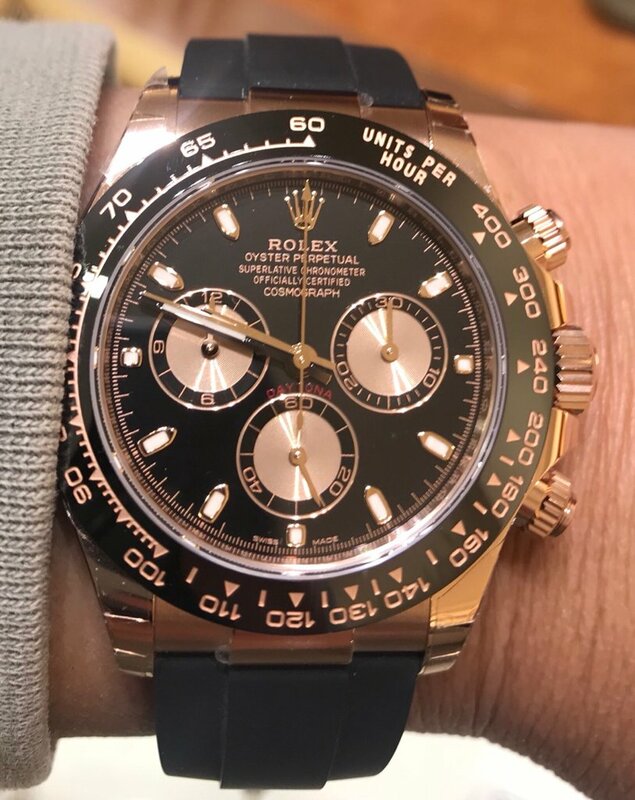 I have 116515 rose gold/ chocolate dial. I think it is a stunning piece IMHO, but to each his own. Pre-owned pricing is reasonable in comparison to the 116500 in SS. Can you swap between the OF band and leather? DavidSW has one for sale. Happens to be my favorite Daytona, but way down the list on my current wants. Many love DavidSW, yet his is old stock (2012 @ $24k) is priced too high imho. Maybe offer $19k MAX? Capetown in Atlanta offers it brand new for $21k via special order. Agree this combo is not TRF Popular, yet personally love the color combo and it is easy to read too. Both the brown and black dial are gorgeous, yet like the white dial due to 'enhanced' legibility. JMHO of course.